SFP (small form-factor pluggable) is a compact, hot-pluggable transceiver used for both telecommunication and data communication applications. It interfaces a network device mother board to a fiber optic or copper networking cable. It is a popular industry format jointly developed and supported by many network component vendors. SFP transceivers are designed to support SONET, Gigabit Ethernet, Fiber Channel, and other communications standards. Dense Wavelength Division Multiplexing (DWDM) optical transceivers provide DWDM transport to greatly reduce the power consumption and the cost of standard pluggable small form-factor pluggable (module) package. Our SFP DWDM Transceiver is available in all 100 GHz C/L-band wavelength division multiplexing International Telecommunications Union. Their aim was to Multi-Source Agreement (MSA) standards to ensure compatibility with the majority of network equipment. 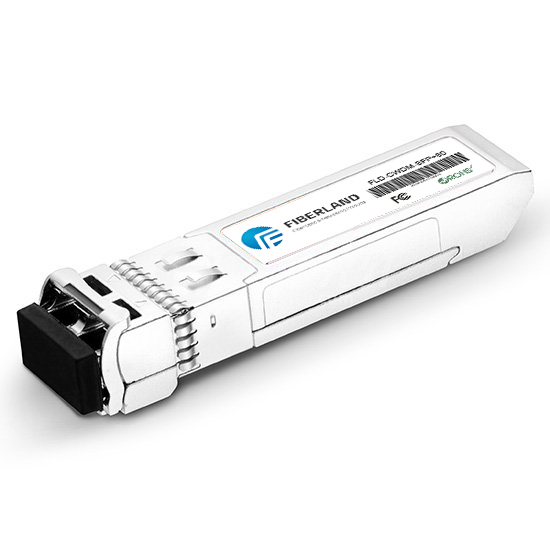 As a multi-rate interface, SFP DWDM Transceiver supports any protocol from 100 seconds to 4.25 seconds. The module is hot-pluggable and digital diagnostic functions via a serial bus specified Maritime sff-8472 program. Gigabit Ethernet standard to meet the requirements of the module IEE E802.3 standard specifications and Fiber Channel interconnect, they are suitable for the environment in Gigabit Ethernet and Fiber Channel. A characteristic of DWDM is the specified standard g.692 and g.694.1 of fully compatible with the wavelength parameters. SFP Bidirectional (BIDI) optical transceivers utilize innovative wavelength division and packaging technology to transmit and receive optical signals through only one single fiber (single mode or multimode). SFP BIDI Transceiver is a high performance, cost effective module, which is compliant with LC/SC Optics interface with built in WDM for Bi-Directional serial optical data communication applications and Standard AC coupled CML for high speed signal and LVTTL control and monitor signals. The deployment of BIDI optical transceivers instantly doubles the bandwidth capacity of the existing optical fiber infrastructure. Our SFP BIDI optical transceivers also comply with Small Form Pluggable (SFP) Multi-Source Agreement (MSA). SC connector interface is also available upon special request.